Posted by Teresa Mihelic HelpDesk on Friday, October 12th, 2012 at 3:46pm. 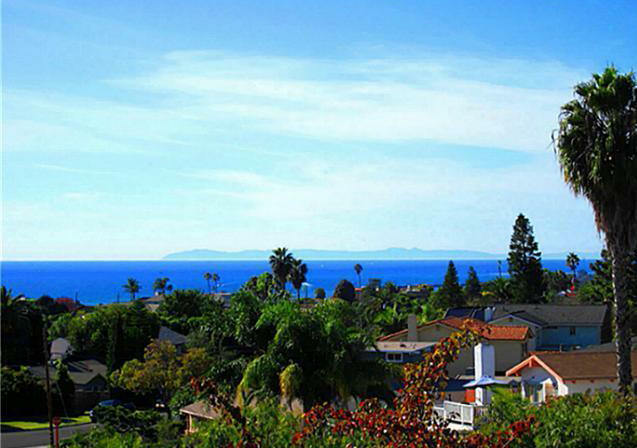 Fall brings the cool breezes, the beautiful sunny and still long days and something else: magnificent ocean views from the homes or properties lucky enough to have them in Orange County. Today, for example, a sunny day in October after a well waited for rain, driving around Pacific Coast Highway in Orange County is something our of a movie. We often say this but it is fall, not summer, the perfect season for those gorgeous ocean views. If you are interested in looking at homes with Ocean Views, now is when to best be able to know exactly what you will be getting in these terms. Many times we have taken clients to see homes with 'ocean views' in different seasons, and to their surprise, the so call 'ocean view' is a mystery one. In the beach cities, the closer you get to the ocean, the closer you get to the foggy mornings too. And not only mornings, sometimes the fog lasts all day long so it gets difficult to really show where it is that a potential buyer could be enjoying the ocean view from the future home. Listen to us on this one... and let' go and enjoy those views these fall days! Here's a link to our page that has the ocean view homes for sale in Orange County and also links sorted by the coastal cities of San Clemente, Dana Point, Laguna Beach, Newport Coast and other that even though are not 'beach cities', they offer exceptional ocean views, like Laguna Niguel and San Juan Capistrano. This picture from the Capo Beach area in Dana Point! Yes. That's Catalina Island. Enjoy!